Kevin Ebi captured an amazing set of images of an eagle and a fox fighting over a rabbit. Check them out and read the story at his site. 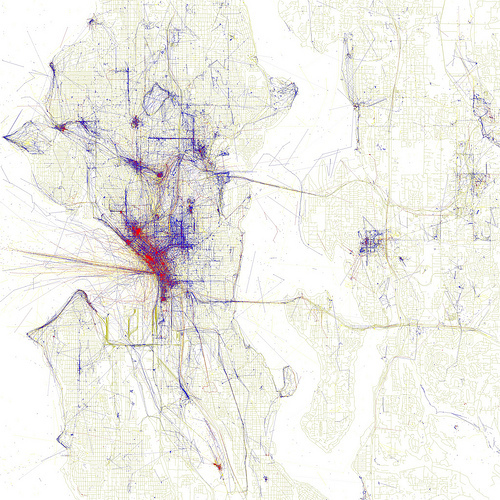 So Flickr has launched a new redesign, and it’s crowded, jumbled and slow. Now on Flickr with its overlays, its fade-ins and loads, it’s unmoving side and top bars, Flickr’s design takes center stage, elbowing aside the photos that I’m there to see. So I’m looking for a new community site where the photo I upload is the photo they display without overlays and with enough whitespace that people can consider it as a photograph. I’d like a site where I can talk with other photographers and get feedback, and where they’re happy to let me pay for multiple accounts for the various and separate ways I want to present my work. 500px looks like an interesting possibility, but they seem really heavy on the gamification, showing you “affection”, views, likes, favorites, on every photographer. 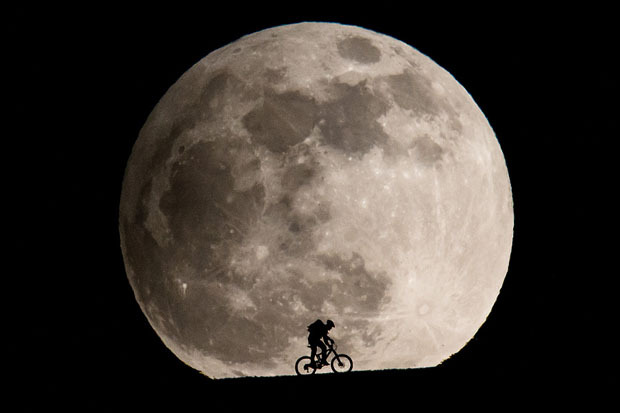 Also, while their ToS are relatively easy to read, ToS;DR gives them a D.
An amazing shot by Philipp Schmidli of a cyclist in front of the moon. PetaPixel explains the work involved in getting that shot in “Silhouettes in a Giant Moonrise, Captured Using a 1200mm Lens.” (Thanks to Bob Blakely). 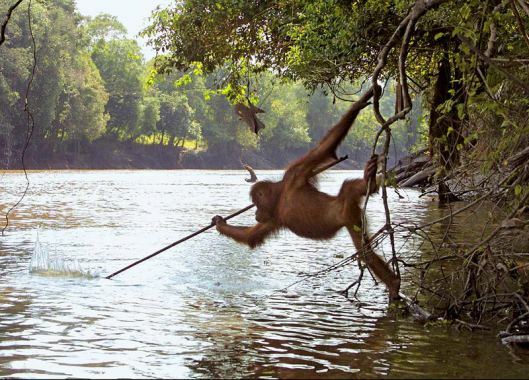 Orangutan from Borneo photographed using a spear tool to fish at Primatology.net, via Anita Leirfall. Me, I took a picture of some very cute baby geese, but it didn’t come out. 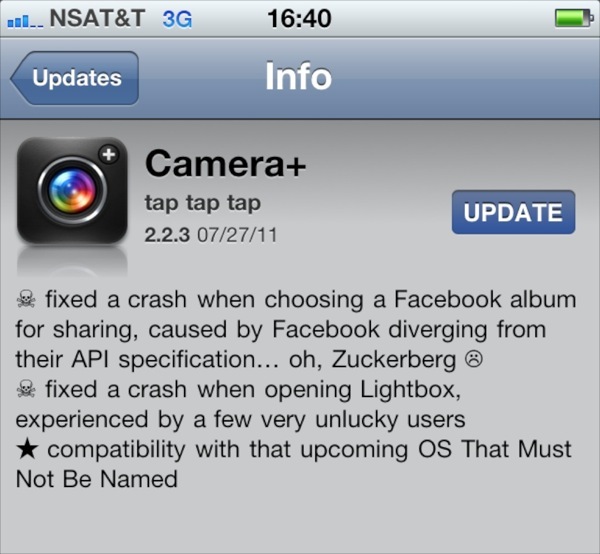 I’m having a camera issue that’s become more and more noticeable with recent software changes. The raw previews coming out of the camera appear substantially more exposed than when Aperture is finished processing them. The difference is hard to measure (there’s no easy undo for raw processing), but appears to be about a full stop of light, sometimes more. I often use a quick shoot-adjust-shoot loop that gives me the exposure I want, and Aperture is messing with the result. Does anyone have advice for how to get the RAW images to process differently?